Get psyched, get ready, get packed! So much is about to happen! Get psyched, get ready, get packed; because the very special summer of 2014 is not very far away! The busses roll onto the shores of Camp Towanda, your counselors await, holding signs, jumping up and down excited to welcome you to your bunk and group; the camp big sisters and big brothers tour their “littles” ; “the fun visit to the infirmary lawn”, general swim, line-up, flagpole, spaghetti dinner, oreo brownies, free play and the chickens (producing real eggs these days), the staff welcome show, milk & cookies, taps and wow, that will be quite the day! Before you know it, the birds are chirping, the sweet smell of pine and birch tree, reveille, breakfast with The Beatles and the first full day begins…. The dress for the day, Sports Quiz or a song to dance to on the way to either the boys or girls HC Shack, raising the flag and then….Activities, option periods, play rehearsal, canoe trips, the new treehouse, the foam pit, tombstone campfire, GHOST and certainly a smore by the new “Old Ghost Point” lakeside. Teams, practices, games; challenges of chess, zip-line, T-slide or maybe even the bumper cars! Jokes, stories, special traditions and the camaraderie of new friends, old friends and special relationships forming! Classic rock over the P.A. system; the donkey and the horse, the dinner bell, the walk to the lake, a golf cart limo ride (don’t ask), Jonesy’s cookies, BBQ at the lake, Grateful Dead on Sunday nights, Services and TGIFNF (Thank Goodness Its Friday Nite Flix)!!! So much has been planned, so much is ready; even the Guinness Record breaking attempt this summer involves custom made Camp Towanda Yo-Yos and our Y0-Yo Master, Dan Green! …Olympics? Well, err, just maybe, but probably not because of the 25th year celebration… which is Alumni BBQ Day (the day after Visiting Day)… Amphitheater action starts with Upper Camp performing Queen’s “We Will Rock You”, Lower Camp entertaining us with “Mama Mia” and our “all camp” will be “Robin Hood: Men In Tights”! In case you think there is nothing more to camp than daily activities and inter-camp games, don’t forget about The Towanda Open, Unique Entertainment, The Dorms’s HorseRacing, the 5-year club trip, scavenger hunt, campa-palooza, silly name day (that’s right, I’m Tootsie Chicken Lips), Fireworks on the 5th, co-eding, and the camper talent show, Simon Sez with Steve Max ….and that my friends, is ONLY the first week of camp! See you soon in June! 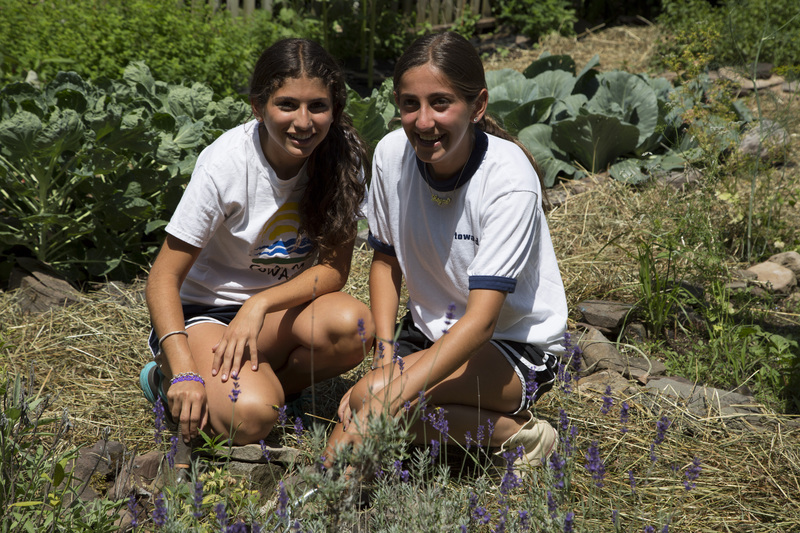 Why is every day Earth Day at Camp Towanda? Naturally, being at camp is green in itself… being aware of the outdoors and the environment; appreciating the sights, sounds and smells of the countryside, the sunshine, rain, night sky, morning dew or just a bird chirping. Camp is naturally what green is about. Although Towanda in general has been environmentally minded for years, we have turned up awareness…and everyone is getting involved. We recycle containers, newspapers, batteries and boxes, and we have recycling bins throughout camp. Our campers partake in the GREEN MACHINE competition which gets everyone involved. Staff carpool and we all pitch in with litter, recycling, conserving energy, identifying water leaks, not wasting food and making sure everyone stays hydrated throughout the day. We even have a compost pile! Our pool is solar heated and our hot water is efficiently maintained! 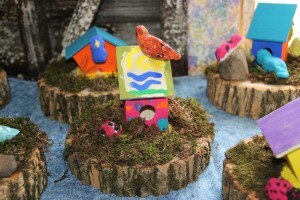 Many of our Arts & Crafts projects incorporate recycled materials. Camp already uses mostly fluorescent bulbs, and as our current incandescent and CFL stock is depleted, we will replace with LEDs. And of course there is our Gardening Club with Stephanie, where we grow our own vegetables which are used in our Culinary Cooking Class! There is so much you can do at home. Check out Jared’s Green Machine Tips here. Sweet Caroline: Good Times Never Seemed So Good! 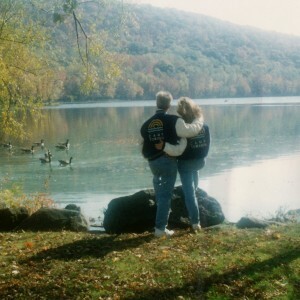 Where it began 25 years ago Stephanie and i started at Camp Towanda…seems like yesterday…and we still love every minute of making the Camp Towanda experience the very best for our campers, staff and Camp Towanda family. The snow has melted and we continue to get ready for camp; new treehouse, new Dorm Porch, new ski boat, rejuvenated ghost court and the NEW old ghost point lakeside campfire area plus other new things from remodeled bathrooms and a few surprises to an exciting program schedule, awesome staff (lots of seasoned returnees) and all around Towanda-ness! The Big Brothers and Sisters have contacted their new LITTLE brothers and sisters and look forward to this special connection at camp. Rest up, get ready, get packed, get psyched for the experience of the summer of 2014!!!! Thats right, 1st year moms, come visiting day, you will be like, “I cant believe thats my kid”! If you read the Parent Guide, you’ll know that you should have a letter that is waiting for your camper upon arrival; this and other good advice and guidelines are in our Parent Guide! Your camper is going to grow, flourish, mature, astound and complete you; just let him/her do it…trust us…and don’t forget to read Homesick and Happy. I also want to share a great documentary that Stephanie and I watched on NetFlix recently; a National Geographic Special: Stress: Portrait of a Killer…This is 58 minutes worth watching. Very enlightening. and onto my keyboard; i look forward to keeping parents up to date, informed, entertained with my honest and reassuring emails; consider your subscription ACTIVATED! Typos and all. We have had and have a lot going on in our “camp state of mind”…..
Last month we were at two camp conferences where we meet, share and develop camp related best practices; I led a session about balancing the day while our younger full time staff participated in emerging professional training. A lot of exciting energy continues to come our way as our colleagues refer to us as the leaders in camping; quite a proud testament. If you are actually thinking about life AFTER THE SUMMER; i would like to suggest that you consider our awesome Labor Day Family Weekend; by popular demand, parents have asked us for Camp For The Parents; well, this is it….you can invite YOUR friends and family, too. 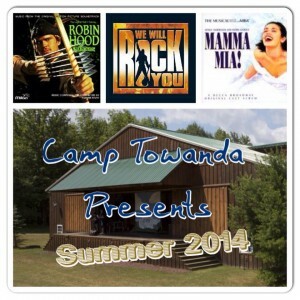 Check it out at: https://camptowanda.com/about-camp-towanda/labor-day-weekend.php. 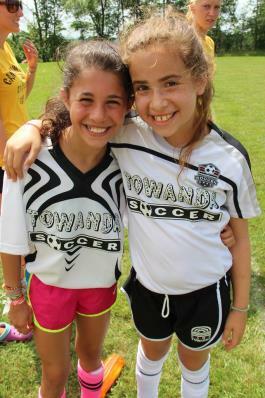 With camp about two months away, you are probably busy preparing, packing and planning ahead for what we know will be the best 7 weeks of our child’s year! By now you have probably read our Parent Guide (maybe even a few times), read one of our favorite books “Homesick & Happy” (and our discussion guide in Campminder) and are gearing up both physically and emotionally for letting him or her “go”. As you cross things off your ‘to-do’ lists, one concern may be lingering. 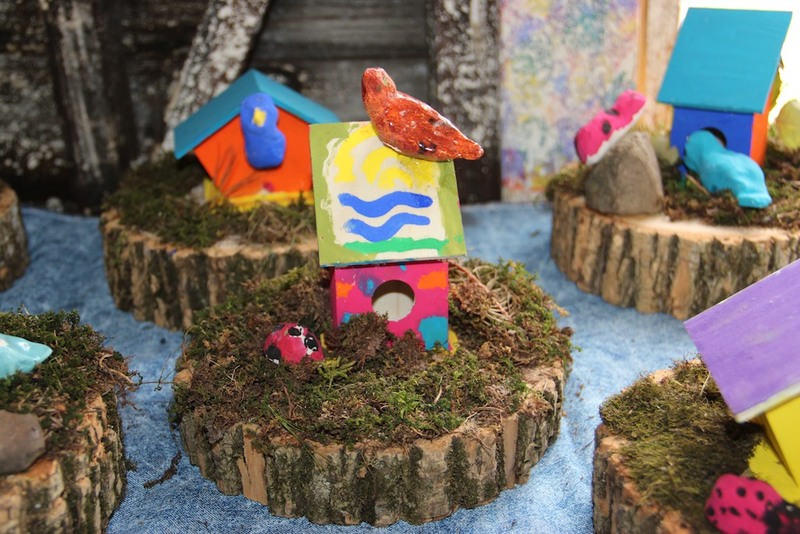 Will my child be homesick and what will they do at camp to help him or her cope? home·sick ˈhōmˌsik/ adjective: experiencing a longing for one’s home during a period of absence from it. 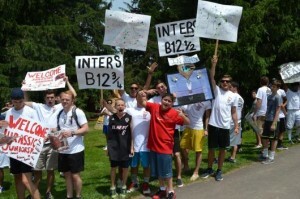 Many parents (and some campers) worry about homesickness. Homesickness is totally normal. It means that you have a home worth missing! 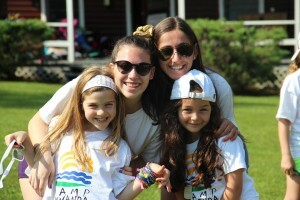 Camp is one of those truly unique experiences that allows children to conquer homesickness is a nurturing, loving, safe environment that will eventually become your child’s home away from home and “second family”. Learning how to overcome homesickness at a young age will help your child more easily deal with these emotions on future school trips, sleepovers, college and beyond. It’s all part of the process of becoming a healthy independent person! And isn’t that what we all want for our kids? While our camp staff are well trained in helping children cope with homesickness, did you know that there are things YOU can do to prepare your child and set them up for success before they leave for camp? It’s important to talk with your child honestly about what to expect and not ignore that this is part of being away from home. Here are some things you can say and do, which are well captured in the book “Homesick & Happy” (hint- read it if you haven’t already!). Share stories about your own life. Did you go to summer camp or remember a time when you missed home? Is there a sibling in the house who may have been homesick and can openly discuss how they overcame homesickness? Define 7 weeks. Use a calendar to help them understand what 7 weeks looks like. E.g. 7 weeks is like 7 spring break vacations! 7 weeks is the time between now and your birthday. Get them involved in getting ready for camp! Ask them to help you fill out your forms, pick out their gear, shop for toiletries, pack, etc. Trust your parenting partners. Remember that you chose this camp for a reason. No one wants to see your child succeed more than we do! Ironically, your child will most likely overcome homesickness way faster than you will overcome childsickness! What is childsickness? child·sick ˈchildˌsik/ adjective: experiencing a longing for one’s child during a period of absence from him or her. While your child is very busy at camp, trying new things, making new friends and growing up, YOU are at home imagining every detail of their experience and adjusting to life at a distance. Yes- there is a cure for childsickness, but you have to be willing to “let go”. Easier said than done? Try these 5 things to ensure that you also enjoy your summer. Because we know your child will be having a blast! Leave it to the camp to manage homesickness. When you talk or write with your child, focus on the positive to keep them moving forward in conquering homesickness. Don’t make any deals. If you let your child think you will take them home if they are unhappy, it can hold them back on having a successful experience. Practice makes perfect. 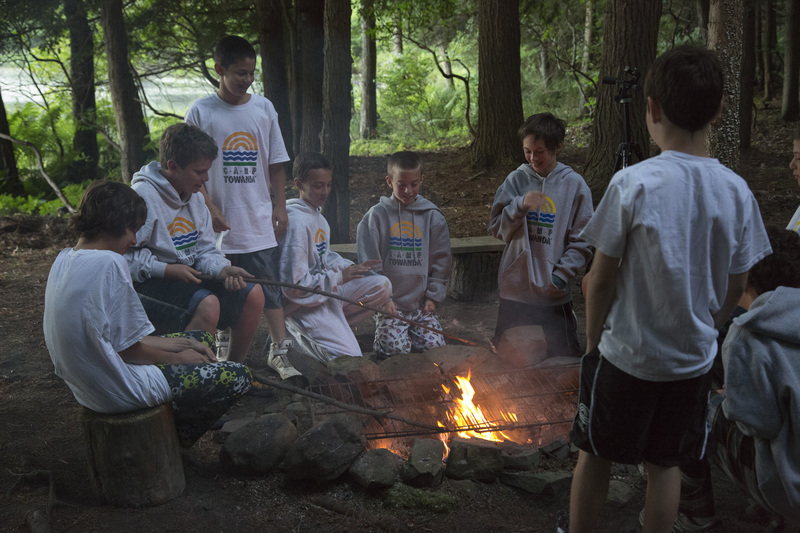 Your child should practice the skills he will need (and eventually master) at camp -sleepovers, chores, overnight trips. Enjoy the gift of time. Use letters and slower forms of communication. Stay tuned for a future blog about “letters from camp”. Take a vacation! You’ve earned it. Parenting is one of the toughest jobs. You are giving your child the greatest gift by sending them to camp. You should celebrate! 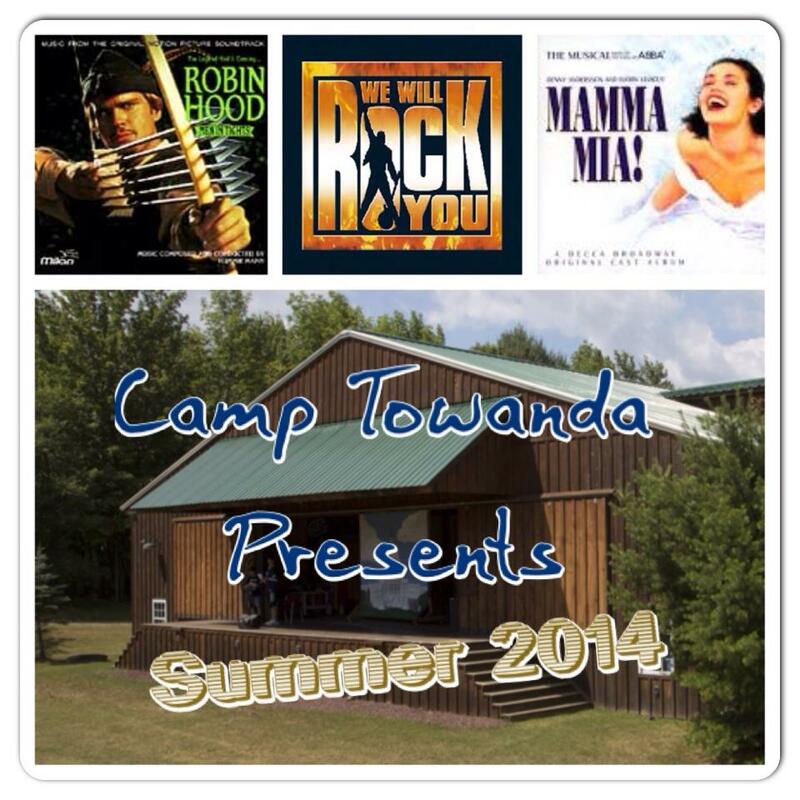 camp·sick ˈcampˌsik/ adjective: experiencing a longing for Camp Towanda during a period of absence from it. Can only be cured by seeing camp friends, attending reunions and returning the next summer!